We tell others to be brave as if it was a choice. 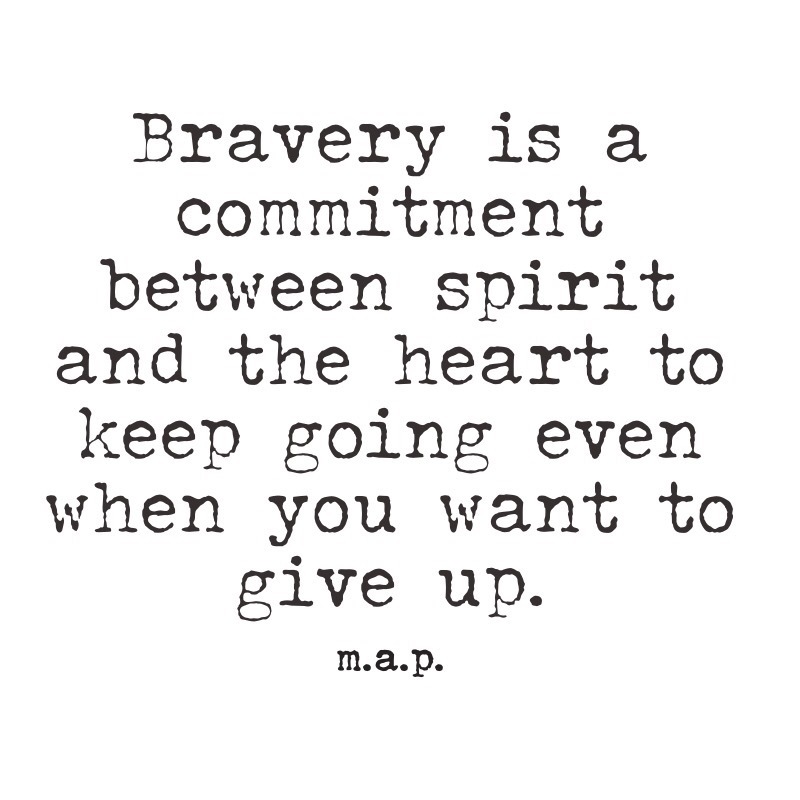 But, bravery is a commitment between your spirit and the heart to keep going. It’s a relationship that requires acceptance while releasing any sense of victimization or blame. So, next time you whisper to someone, “You are brave! I love your courage! I admire your strength.” Feel it in the core of your own existence. Courage comes from falling while not allowing yourself to permanently stay there. This life requires you to be courageous and vulnerable and compassionate. It requires you to clean the nastiness when you fall and get hurt while still move through love. Yes…love unconditionally especially yourself. Be brave and be daring. That’s where the magic is created.